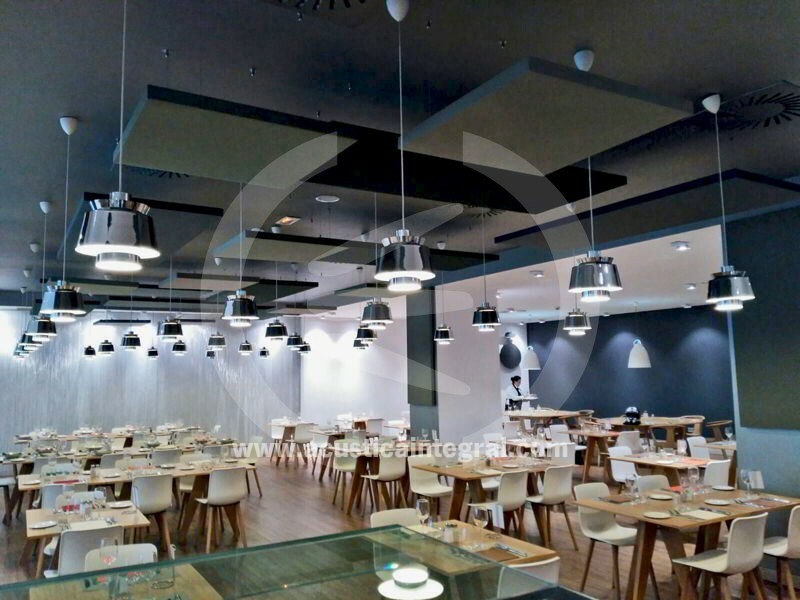 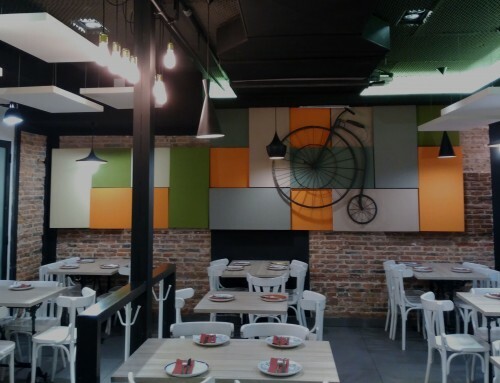 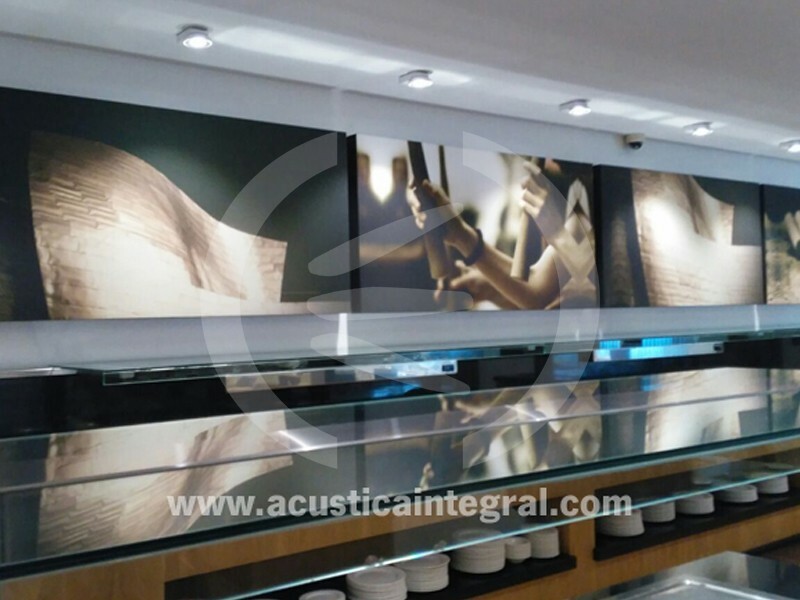 Acustica Integral has installed acoustic installation made of absorbent treatments in a hotel in Bilbao to control the reverberation of the food court. 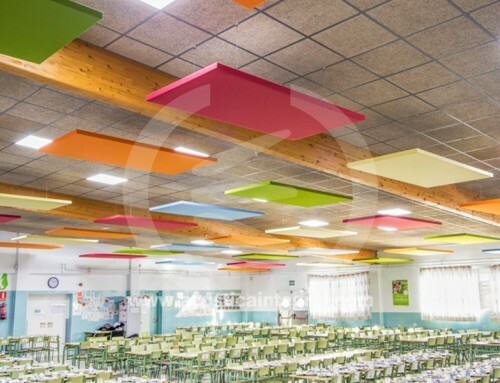 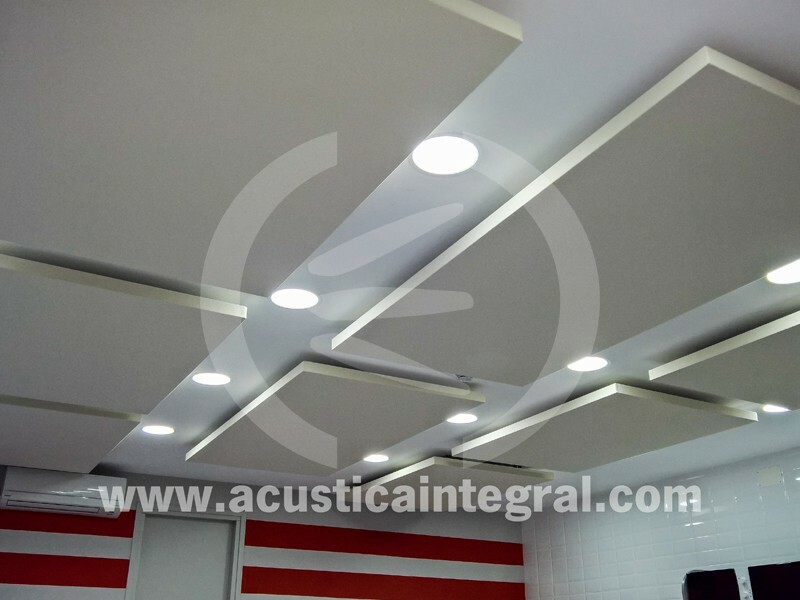 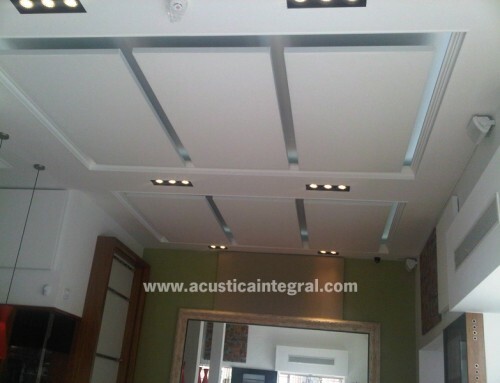 You have installed a combination of different colors and sizes acustiart digital printing acoustic clouds of Acustica Integral ceiling system, hook through the system hangs high decorative finish Fixing Kit. 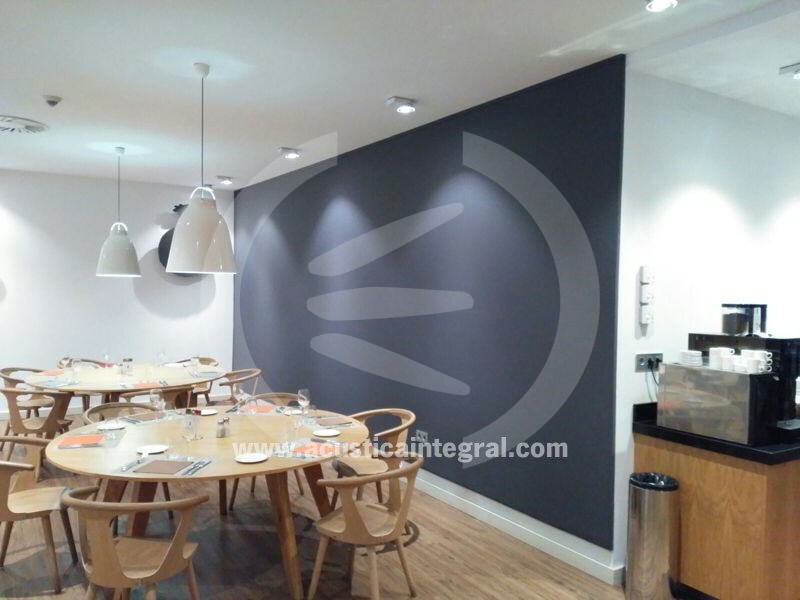 On the walls has opted for the treatment of a wide-based system fabric wall tensioned on acoustic batten system through walls upholstered with standard fabric and stuffed with Integral Acoustic AcustifiberF40. 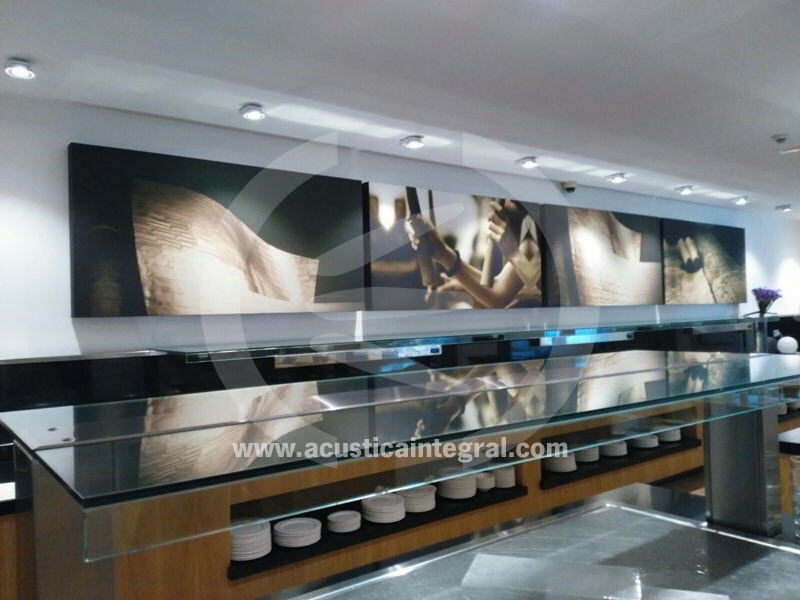 In the service area it has been chosen by the incorporation of acoustic treatment through Acustiart Digital of Acustica Integral system with the introduction of representative images of the area in which the hotel is located. 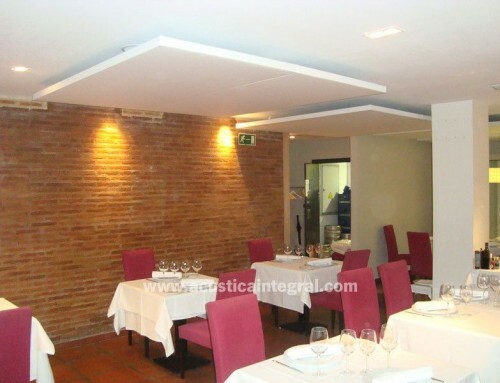 Project: Treatment of absorbent acoustic dining area of a hotel in Bilbao. 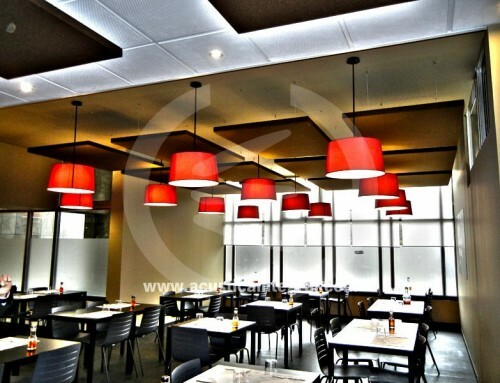 Sector: Construction, Catering and Hospitality.